If you're looking for something a bit bigger and/or newer than the Moto X4, which we posted a deal on earlier today, then this one might be more your speed. 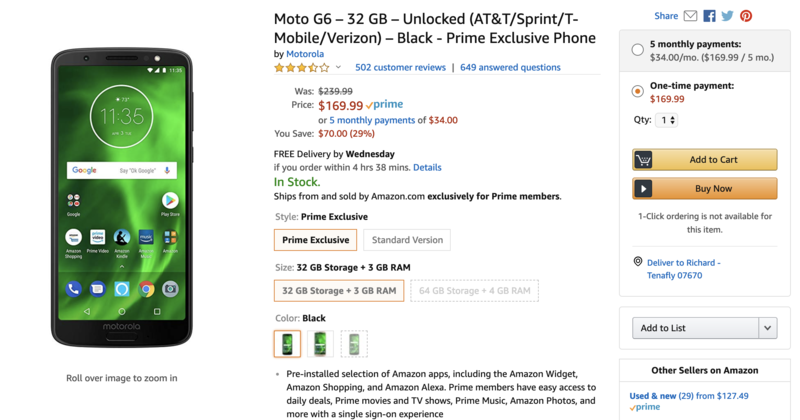 Amazon is offering the Prime Exclusive version of the G6 for $169.99, with the regular model coming in at $179.99. 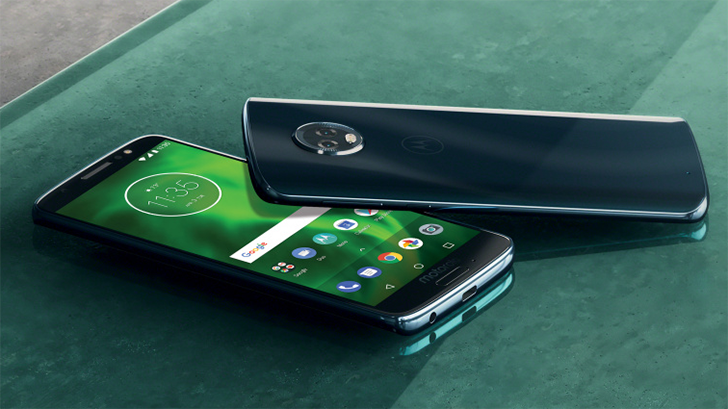 The Moto G6 comes with a 5.7" 1080p display in an 18:9 aspect ratio, a Snapdragon 450, 3GB of RAM, 32GB of storage with microSD expansion, a 12MP + 5MP rear camera setup, an 8MP front-facing camera, and a 3,000mAh battery. It also has USB Type-C, a first for Moto G-series phones, as well as splash resistance. These prices are for the 3GB/32GB model; you can upgrade to the Prime Exclusive 4GB/64GB model for $199.99 and the regular 4GB/64GB for $229.99. All phones are unlocked for all US carriers (AT&T, Sprint, T-Mobile, and Verizon). Shipping is free. Hit the buy link below to pick one up.